This trailblazer is most definitely his father’s son! Beyond honoured, privileged, humbled and grateful to be interviewing Les Brown Jr., this Friday! 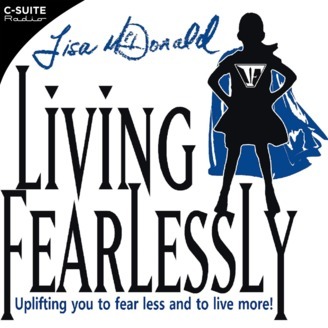 Not only are we going to be sharing electric synergies with one another on the airwaves – we have also decided to partner together in the co-facilitation of our first #LivingFearlessly Leadership Summit/Seminar in Toronto, Ontario, Canada this upcoming August! Stay tuned for more details! 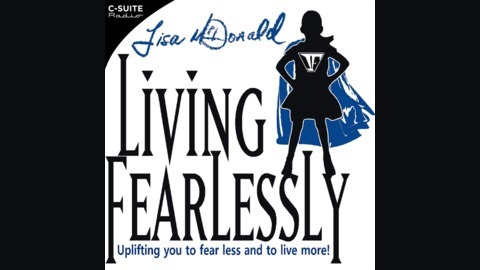 Tune into Living Fearlessly with Lisa McDonald and find out for yourselves firsthand, why LBJ was recently named one of the Top 40 speakers under the age of 40 in America on C-Suite Radio / C-Suite Network. Les Brown Jr. speaks internationally to groups of all ages, inspiring his audiences to reach higher and to expect more of themselves in the serious pursuit of dreams that define a lifetime. His core original message is, “We must be more dedicated to our destinies than we are to our distractions.” Recently named one of the top 40 speakers under the age of 40 in America, Les Brown Jr. knows how to deliver every time. He focuses on the head and the heart and his infectious enthusiasm and vivid powers of description sweep along all those who hear him. The Los Angeles Clippers and Success Teens International awarded him the Humanitarian Neighborhood Alliance Award (HNAA) at the Staples Center specifically for his inspirational speaking work with young adults. Les Brown Jr. has been speaking professionally since the age of 10 and he has not slowed down for more than two decades. His personal goal is to impact and to inspire a new generation of high achievers while remaining focused forward on building the family business which trains emerging leaders to use their unique voices as a force for greatness. With the experience of presenting before corporate executives in sold-out arenas with as many as 20,000 participants attending, Les Brown Jr. leaves his audience with more than just the necessary tools to compete and to win in a global economy—he leaves them inspired and hungry to achieve more! Uplifting you to fear less and to live more!